Parbold by-election here yesterday: Cons hold. Cons 554, Lab 461, UKIP 103. But, more interestingly, I’m told the Rev David Braid was loudhailering. Has he joined UKIP, or was he just evangelising to voters? Mike – yes, it is. When I say Parbold, I imagine/remember some very large houses in semi rural surroundings. Yes, Parbold is a very well-heeled place- home ownership is at 89%; and nearly half of residents between 16 and 74 are managers, professionals, and administrators. Labour did well to run the Tories so close. I rather like that stretch of Lancashire- often it’s three quarters sky owing to the flatness of the land. Clearly this is a Labour target in the local elections. The Tories have a majority of 2 over Labour; there are no other parties on the council. Labour needs only to repeat the 2012 results to take control; gains from the Tories in Burscough E & Derby would be sufficient. It’s not that likely however that Labour will be able to exceed a majority of 2. I agree with Mike’s post a few months ago. For 2010, that was a pretty good result for Labour. While they lost a number of seats across Lancashire then, this one was held by fairly decent margin. I know Skelmersdale is Labour’s area of strength, but does that go for Ormskirk as well, or is that a bit more divided politically? Apparently the town is well known for its gingerbread. Ormskirk was once a Tory town but nowadays tends to lean slightly towards Labour; it’s divided politically but it now seems to vote Labour in an even year whereas in the past it would have voted Conservative in such years. Perhaps its proximity to Liverpool has helped with that, but after all much of the constituency is close to Liverpool, and there remain some very Tory villages indeed. Barnaby- that’s a very good summary of Ormskirk. I think there is a Liverpudlian influence- you certainly hear some Scouse-influenced accents alongside the more mainstream Lancastrian. A look at the wards within this seat demonstrates the huge Labour strength within Skelmersdale and how the presence of this town makes Conservative attempts to win it back so difficult. The 8 wards that cover Skelmersdale collectively voted 81% Labour, 16% Con, 3% for the others in 2012 (or 2011 for Tanhouse ward). The rest of the seat is far mixed – with the Conservatives leading Labour by 50% to 43% in 2012 (or 2011 in the odd ward). Newly picked tory candidate is Paul Greenall, lives slap bang in the middle of the constituency, NHS worker, West Lancs borough councillor and former mayor. Probably a lot more familiar to people than previous candidates, I think there’s a lot of feeling that Rosie Cooper is a bit distant and ineffectual. I know a few people who think she walks on water cos she’s helped them personally, but Greenall will be a recognisable and appealing candidate to a lot of wavering voters. I don’t think that’s enough for them to win the constituency, but I’d expect a slightly increased tory vote share – bucking the national trend. Could be potentially considered a marginal seat in the future. Martin, the previous Conservative candidate Adrian Owens also lives at the heart of the constituency and likewise represents Derby ward. Also as a resident of Derby ward I’ve actually heard from Adrian Owens a great deal more than Paul Greenall. On that basis I suspect the local Conservative association will not be making a serious effort here. If they were serious they would have chosen Owens again rather than the unheralded Greenall. Parties can only pick people who are willing to stand, and they often don’t want to stand in marginal seats where they may or may not be selected. Given that the Tories may well be able to manipulate a swing in their favour in the run-up to the election, this seat may well in my view, rather out of line with the concensus, be right in the zone of uncertainty which it is touch and go who will win. I don’t know, but it is quite possible that Adrian Owens does not want to be in this position, with the added complication that if the Tory candidate gets in it could well be for a single term. Not sure on the exact corder of events or cause and effect on all this, but it might raise the question of whether or not he’ll stand as an independent candidate. Anyone? the Tories winning here? How much of a swing do you think they’re going to get in a matter of 2 & a bit months? They’d need one of about 8% to win here. I think Frederic’ way way off the mark once more. Martin – Our West Lancs are to field a slate in May, but not in the GE. Although they may endorse the UKIP PPC, as I think the Southport Party are doing next door. Lancs Observer – Interesting, I’ve not really taken an interest in Sefton council stuff before, so not come across the Southport Party. “In the ideal situation, a new Lancashire-based authority could gain population numbers to suit the Boundary and Electoral commissions by taking in an area which would encompass parts of the current West Lancashire Council area from the River Douglas in the North to the River Alt to the South and all towns and villages along the A59 road corridor, which would include Hesketh Bank, Tarleton, Rufford, Burscough, Scarisbrick, Ormskirk, Aughton, Formby and Southport. All these towns and villages would be within 10 miles of Southport. The town Halls of Southport and Ormskirk would be the main civic buildings. This new authority would have two hospitals and Edge Hill University. It’s an, erm, interesting idea…. I’m interested because I’ll need to add him to my candidates list if he does stand. The same with the Southport Party. Owens has given no indication so far of standing in the GE Andy either on his own or party web page and nothing in the local press also. Looking at events it appears he had fallen out with the association last year well before any GE candidate selection. Andy JS – the Southport Party exist purely for the Locals. They did endorse the Tory PPC in 2005 and seem likely to back the UKIP PPC this time. Rev Braid may stand here again. David Braid is a possibility, I’m not sure I’d rule out Owens standing as an independent. If his dispute with the local association was that acrimonious and Galloglass is right about his personal support being quite high, he might do it just to annoy them. As I recall, one of the early proposals for Local Govt reorganisation in the 90s was to split South Lancs, with Skelmersdale joining either Wigan or St Helens, and the rest of the borough merging with Sefton. Was rather badly canvassed by Labour last weekend, which as I’m most likely to vote for them but not a certain vote was a bit of a missed opportunity on their behalf. The canvasser simply asked if I was going to vote and on getting an affirmative left it at that without asking if I’d consider supporting her party. I can only guess that as it’s a rather upmarket area I live, she was assuming I was a Tory and didn’t bother asking the follow up question. Granted it did show they were active and putting some effort into the seat. No information or calls from any other party so far though. I’d have thought I’d have had a Conservative leaflet at least so far if they were actively contesting this seat but nothing received yet. Any predictions for this seat? On a slightly different subject, do residents of this seat consider Manchester or Liverpool as the nearest major city? Liverpool would have been my guess TBH. One of my friends mum comes from St. Helens but she always says she identifies more with Manchester than Liverpool and her accent (which has obviously faded a great deal) sounds more Mancunian than Liverpudlian. Is this common for the area and if so why? Seen as St. Helens is in Merseyside and much closer to Liverpool than Manchester. My sister lives in UpHolland, she is a a Manc but would say that the Skelmersdale (or Skem) influence is most powerful. My nephew has a bit of the “Wack” about his accent whilst his older sister, having been born, and lived for a while, just a couple of miles away in Wigan, has no Skem influence. Interesting. 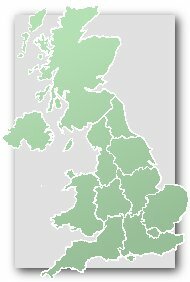 I thinK St Helens sees itself as separate from both cities but whether people look towards one or the other may depend on where other members of the family are from. Yes, Mikes right – a lot get the Ormskirk-Liverpool Merseyrail trains and you hear Scouse accents in Ormskirk. In St Helens they support Man Utd, but mainly rugby (league and union), so the affinity with Manchester makes sense, although a few from there work in Lpool too. St Helens borders Greater Manchester at Leigh, Lowton etc (and the ‘Woolyback’ part of Cheshire @ Warrington Road). Ben Basson has been selected to stand as Green party candidate for Lancashire West. The rev Braid returns yet again for another try. Not sure if his description is an actual registered party though. A lot of Sefton and Liverpool councillors have stood in this seat over the years, possibly because although the seat isn’t in Merseyside, it isn’t that far away and has very good links with Liverpool. Looks like he keeps his own party running and changes the name for each election, and he’s got at least one friend in Scotland. Not really relevant to this thread, I just find him such an interesting (well, odd) character. Thanks for that link Martin. Yes he is a very unusual character indeed! I recall canvassing him on a number of occasions 3 decades ago and being informed that he did not vote for religious reasons. And now here he is, standing for repeatedly for election to Parliament. How times have changed. The last few days has seen the 2nd batch of Lab & Con literature, the first was at the start of the month. Also no sign of any posters so far. Had a “The Conservative candidate called to see you but you were out” card though the door, with the leaflet. The effect was somewhat spoiled by the lady passing them out not actually calling at the property, and this being on a weekend was rather obvious. Not a good impression to give in a Tory leaning area. Maybe it was you that sparked the idea of using politics as a vehicle for his very particular message Galloglass? So far we’ve had GE leaflets from Labour, Conservatives and UKIP (twice), as well as local election bits from the Conservatives and the Our West Lancashire people. Just leaflets though, no calling cards (whether under false pretences or not). That said, in 12 years I don’t think I’ve EVER had anyone actually knock on the door, so maybe we’re too predictable to be worth it round here. Someone from the local Labour party said to me recently that he thought the Conservatives weren’t really bothering here and were focusing on South Ribble instead. Given the quantity and quality of leaflets, and the 4 page advert on the outside of this week’s Champion that must have cost a few quid, I wonder if they think they’re in with a real chance? They can’t seriously think that. Labour will hold with no difficulty whatsoever here. Martin- knock the entirety of Skelmersdale out of the seat and you may be talking. Until then, not a chance. precisely. Even Ormskirk seems to vote slightly more Labour than Conservative nowadays. Skelmersdale – well it’s a truly dreadful area for the Tories, barely any better than Liverpool. And it’s the largest town in the constituency. I don’t think the tories will actually win, but I can see the Labour majority continuing it’s downward trend since 97 – potentially to the point where the seat becomes marginal. Not trying to make any political point Martin, if you read up the column I was equally critical of the Labour canvasser who called in March and I’ll actually probably be voting for them. Both really cases of inexperience, no major sin but both will cost votes which really defeats the point of both the canvassing and leafleting they were doing. Barnaby is correct when he points out that Ormskirk is trending more towards Labour. Look at Knowsley ward for example, in the 70’s & 80’s they always finished a very poor 3rd. Now they hold two seats with the 3rd up for election this time. I honestly didn’t think you were Galloglass – sorry if it came across that way. The first sentence about sparking an idea was a joke about David Braid. The comment about inexperience is interesting – maybe the near certainty of a chaotic hung parliament / minority gov’t has jolted a lot of people on both sides to become first-time activists? I’ll have nightmares now that I created David Braid’s political interest! I wouldn’t worry, I think he makes what drives his interests pretty clear!